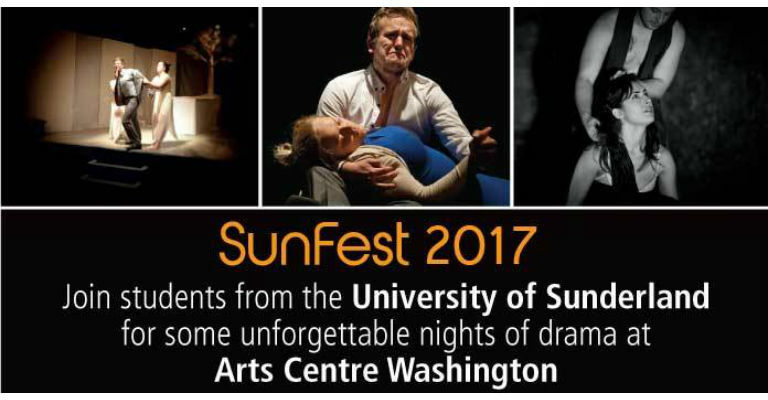 Sunfest… The University of Sunderland’s drama department take over Arts Centre Washington presenting a range of classic and contemporary texts. Romeo and Juliet; Shakespeare’s most famous romance and one of the greatest and most tragic love stories of all time. Following the tale of two feuding families Romeo and Juliet is the ultimate romantic story of two star crossed lovers. Love at first dance, forbidden passions, dangerous secrets and star-crossed fate tears the two apart, resulting in disastrous consequences for themselves and their families.